Replacing missing teeth is no longer the daunting experience it once was. Advancements in dental technology provide Dr. Meserkhani with many minimally invasive options for providing you with attractive and stable new teeth. We can help you with replacing teeth that are missing or need to be extracted, and we will work with you to determine the best solution for your specific needs, desires and budget. Dr. Meserkhani is a renowned expert in the fields of implantology and prosthodontics, (the replacement and restoration of teeth) and lectures both nationally and internationally on these subjects. He has equipped his practice with state-of-the-art technology to provide you with the most comfortable and efficient treatment. Dental implants are artificial replacements for missing teeth. They can be used to replace a single tooth, and they can also be used to support several artificial teeth when multiple teeth need to be replaced. 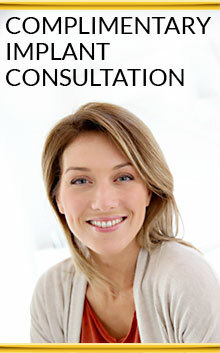 Dr. Meserkhani uses dental implants with the following methods for replacing missing teeth. 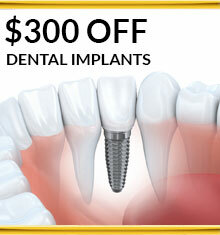 Most dental professionals agree that replacing a single missing tooth with a dental implant is the best option. A titanium implant post is anchored into the jawbone and attached to a natural-looking porcelain crown with an abutment. This combination restores the ability to chew normally and also helps to deter bone loss in the jaw. Implant-supported bridges are often considered to be the most lifelike option for multiple tooth replacement. A dental bridge consists of three to four porcelain teeth supported by two dental implants. A bridge can replace two or more teeth missing in a row, or a series of four bridges can be secured to dental implants to replace an entire arch of teeth. Chewing force is restored to approximately 98% of normal. We don’t recommend traditional, removable dentures as a solution for missing teeth because they can actually accelerate bone loss in the jaw. Dentures are also prone to slippage and frequently cause painful irritation to the gums. If partial or full dentures are used, they should be anchored with dental implants. The implants will help provide the stimulation that jawbone needs to remain healthy and regenerate naturally, and they stabilize dentures so that slippage is reduced and chewing ability is improved. This advanced technique uses four dental implants to support an arch of artificial teeth. By placing the rear implants at an angle, longer posts can be used and are anchored into the denser portion of jawbone in the front of the mouth. You can walk out with a full set of new teeth on the same day. With this procedure, bone grafting isn’t always necessary, which means less expensive and faster results. As with any implanted-supported restoration, bone loss is minimized and chewing ability is greatly increased. Learn more about our Fix-on-Four procedure. Our doctors will conduct a comprehensive consultation in which they will get the basic information needed to formulate a treatment plan with several options. They will discuss you goals and answer all your questions.